How can I get rid of slugs reusing/recycling stuff (or other green ideas)? | How can I recycle this? How can I get rid of slugs reusing/recycling stuff (or other green ideas)? I asked a similar question on Twitter the other day but since I’ve lost more leaves to the blighters over the weekend, I thought I’d asked for more suggestions – I want to belt & braces it! In response to my Twitter question, @KakeLover replied: “beer traps! gets the slugs everytime!” and @maryhoresh said “this year trying egg shells they aren’t supposed to like waking over them.also heard to paint glitter around edge of pots”. So I’ve got beer traps down (made from old drinks cans, filled with out-of-date beer), John on order to eat eggs for breakfast and if I can find some glitter, I’ll make my pots into disco pots. I’ve also heard they don’t like copper (they’re supposed to get a little electric shock from it) but I don’t have enough old copper pipes to go around – will see what I can dig up though. Any other suggestions? What have you tried? I’ve heard introducing certain parasitic nematodes can kill off slugs for a short time – anyone had any experience with that? Egg shells work moderately. If you mussels, clams or snails, save the shells, rinse and break them (a stone against concrete works as a low-tech solution). Those seem to be a bit sharper and last a bit longer + work a bit better. For really sensitive plants I use escar-go from ecostyle. It’s based on ferri fosfate and save for other animals, humans and the environment. But expensive. So I only use it on plants that really suffer from the snails. For the rest, I go outside after a rainy day and catch them and kick them with my feet or feed them to the chickens. (sorry). Try anything gritty and sharp, hense the egg shells, they don’t like the feeling on their foot. Another option is putting down little mounds of porridge oats, they love it. It then expands inside then, you can imagine the rest! The other option is going out at dusk or dawn and collecting them, then taking them to a park with a pond and feeding the ducks. Good luck. It isn’t copper pipe you need, but a strand of copper wire. Or, so I’ve heard. Good luck. 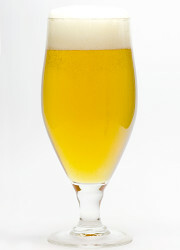 about the beer traps: they slugs do drown in them, but the smell of beer also attracts more slugs from afar. so the trick is to put the beer pot outside of your vegetable garden to lure the slugs away…and not bring any new ones from afar. so the trick is to put the beer pot outside of your vegetable garden to lure the slugs away…and not bring any new ones from afar. I had quite the slug harvest when I emptied the traps yesterday but I’ll try moving them this afternoon, see if it helps. then add just a drop of dishwashing liquid (I use Dawn) and voila! Now spray this around the base of your plants to keep the slugs away. household fixes for all your garden problems! Happy Gardening!!! we are market leaders in buying post-industrial scrap plastics, converting and supplying various industries with clean, reclaimed resin…..
We dont have that big problem with snails, we just eat them, or sell them to eat. Actually, they are ssold in jars for festivals, like New year. I put winter planting in pots or grow bags on the patio. Last year I recycled my old grill – turning it into a flower pot for leaves and herbs – for whatever reason I had no problems with slugs or snails with it throughout this summer, or last winter. Currently my young chervil is in it – not a snail in sight. All summer I’ve had basil in troughs on the patio – again no problems. Wonder if its more about location rather than what you might put down to control them. 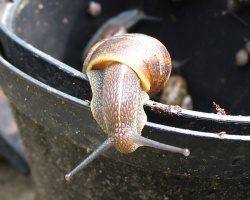 For example – I can’t plant basil in my herb bed – the snails have a party and leave me with “stems of gratitude and slime” – put them in a pot on the patio however, and they leave it alone. I’d definitely agree with that – the only place we could grow salad was on our metal balcony — we got the odd intrepid explorer up there but otherwise the little young seedlings were left unmolested. I’m definitely going to plan to grow more stuff up there next year – and more stuff in wall planters, hoping the climb will deter the molluscs. You can do your Styrofoam Recycling with us. We have a neat gadget that removes the inside of a pineapple for eating and leaves the outside shell whole, with the core still in the middle. So I tried that as a slug trap: wonderful. It collects and apparently gases large quantities of slugs.